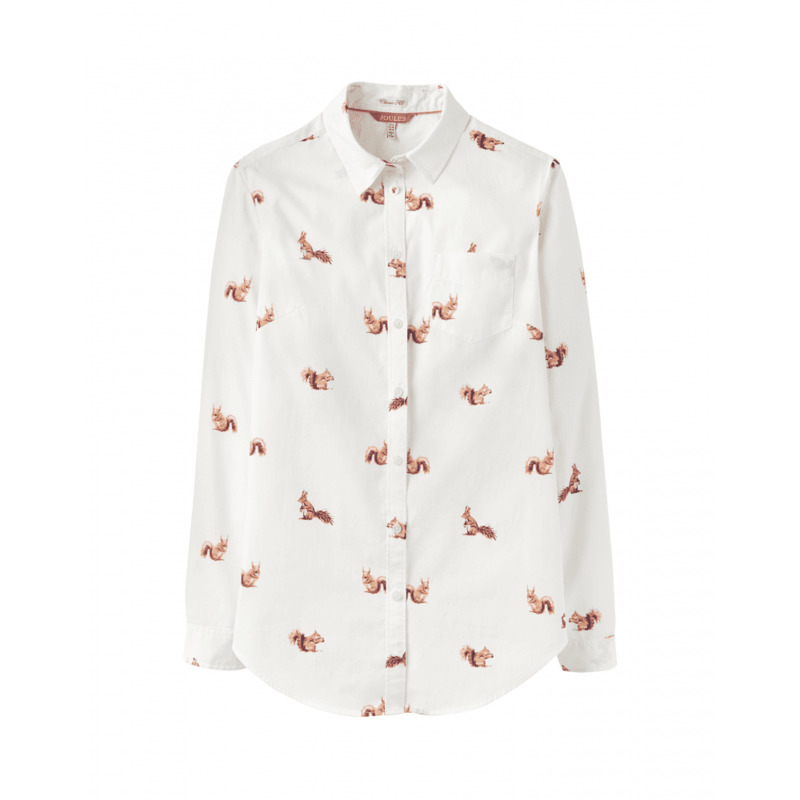 Joules Lucie Womens Printed Classic Shirt - Cream Squirrel. Designed with a classic fit, a curved hem and a button fastening. Finished with a curved hem and a stunning hand drawn print. Made from 100% Cotton and machine washable.